The first book of The Rubin Family / Dave Levitan Series, in which Al Rubin establishes his power and influence. In 1929 Atlantic City, gangsters and politicians answer to Enoch ‘Nucky’ Johnson, the Czar of The Ritz. In Washington, J. Edgar Hoover sets out to end Nucky’s reign. Nucky hatches a plan to neutralize Hoover with blackmail photos taken when the young FBI Director comes to an Atlantic City hotel for Decoration Day celebrations. Al Rubin, a studio photographer, is promised a lucrative lease on an entertainment pier to set up the shoot and snap the shots. 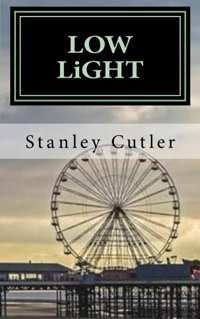 Hoover discovers the plot and sets off in pursuit of Al, who tries to disappear in the sin city of the Jazz Age.More is at stake than the ordinary life of one thoughtful photographer − the American justice system’s balance of power rides on the ingenious outcome of a suspenseful, entertaining story.